Interior Design Show Vancouver (IDS Vancouver) continues to establish itself as the Pacific platform for all things design with the announcement of this year’s Caesarstone Stage keynote speakers. The design show takes place from September 28 – October 1 at the Vancouver Convention Centre. In collaboration with tile and stone visionary, Ann Sacks, IDS Vancouver welcomes Camille Walala as the show’s keynote speaker on Saturday, September 30th. Beginning her career as a textile designer, Walala specializes in transforming spaces with a vibrant blend of colour and pattern. Walala is influenced by the work of the Memphis Group, South Africa’s Ndebele tribe and op-art pioneer Victor Vasarely, but her gleefully asymmetric patterns and eye-popping approach to colour are entirely her own. Along with her speaking engagement, Walala will collaborate with Ann Sacks on a bar design onsite at the show. 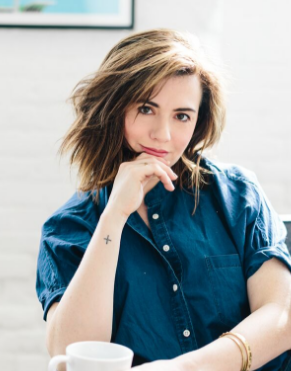 Kate Arends of Wit & Delight will grace the stage as the keynote speaker on Sunday, October 1, in collaboration with Hygge & West, creators of modern wallpaper. A St. Paul-based creative and multichannel marketing consultant with extensive experience in the design industry, Arends wears many hats: blogger, product developer, branding consultant, and designer. In 2009, she founded Wit & Delight, a lifestyle blog that has garnered a tight-knit following with an edited yet approachable point of view on decor, fashion, and entertaining. The website has since broadened its focus to include mental health and wellness topics. In addition to running Wit & Delight, Arends creates award-winning strategic design, marketing, and product solutions for nationally renowned brands including Target, 3M, Fossil, and Red Wing Heritage. In addition, this year Inform Interiors has teamed up with renowned Danish design brand HAY to bring a special feature to IDS Vancouver. Select pieces from their collection will be available for purchase onsite at the HAY Pop Up Shop for the duration of the show. HAY finds inspiration in the stable structures of architecture and the dynamics of fashion, which they seek to combine in durable quality products that provide added value for the user. Their continued vision is to create straightforward, functional, and aesthetic design in cooperation with some of the world’s most talented, curious, and courageous designers. All speakers, exhibits and pop ups will be available for viewing at IDS Vancouver from September 28th – October 1st, 2017. For more information, click here.